Amber Massie-Blomfield is an arts producer and non-fiction writer. Her work has been commissioned and published by Standart, Unbound, Annexe Magazine, The Wrong Quarterly, The Independent, The Guardian, Exeunt and New Internationalist. She is a regular contributor to The Stage. She received the Society of Authors’ Michael Meyer Award in 2016, and in 2018 a Special Achievement Award at the Off West End Awards for her work at Camden People’s Theatre, where she was Executive Director from 2014 to 2018. She is a fellow of Birkbeck, University of London, and the Royal Society of the Arts. 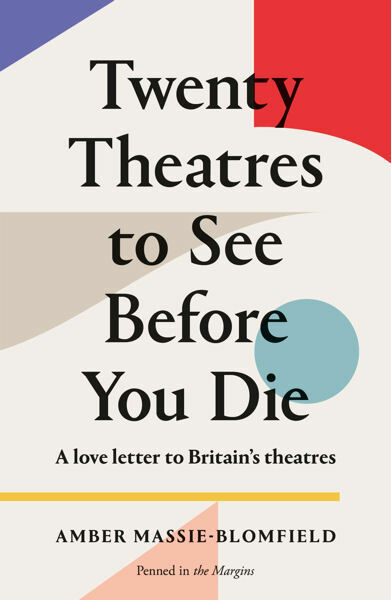 Twenty Theatres to See Before You Die is her first book. She lives in Brighton.